Important: Backup Your Computer Now, Before It is Too Late! Is your computer hard drive running out of capacity? Are you wondering what you are going to do when it maxes out? Are you worried about loosing all your pictures and files when your hard drive crashes? Have you ever performed a computer HD backup? Well, I’ve got the solution for you. No one really wants to go through and delete information from the past. Installing a second add on drive is a possibility. Another option is to install a brand new C drive, with all your existing programs and data intact. There are a couple of programs that I am aware of that make it easy to clone a hard drive completely. The program that I have used for backing up information and cloning a hard drive is Acronis True Image. Acronis True Image is a program that once installed on your existing hard drive can be used for daily backups to another hard drive or to install a brand new C drive with all the existing files intact. For example: I had a computer with a 180 Gbyte disk drive that was getting to the point, with pictures, videos, files, and programs installed, that the days were numbered until I was going to be forced into doing something about it. I decided to take the initiative and replace the disk drive with a new 400 GB disk drive. Using Acronis True Image, the new one is Acronis True Image Home 2009 backup and disk image recover software, I first did a fresh backup on the second disk drive I have installed in the computer. Once that was complete, I disconnected the second drive and hooked up the brand new Seagate 400 GB disk drive that I picked up from Fry’s Electronics for $89.00. I can’t believe these prices on hard drives keep dropping as much as they have over the years. Once the second drive was hooked up, I ran the True Image software again, and cloned the primary drive, but expanded it to include the total available space to be used on the new drive. Once the cloning process was done, I then removed the first drive, and made the new drive the C drive, then re-attached the other backup drive, and the computer was up and running on the new hard drive. It is interesting to note that even though most drive manufactures state a certain size hard drive, they usually overstate what the drive actually holds. It seems as though there is a 5 to 10% fudge factor. The Seagate 400 Gbyte drive turned out to be 367 Gbytes formated. But still, it is hard to pass up a deal when you need it. Jim Warholic is President of Professional Web Services, Inc., an Internet marketing and SEO company. Are there any limitations to doing this with various software activations? I have a machine with Windows XP Home on it. The C drive is only about 16 Gb and is running out of room. I have a 30 Gb drive I am not using and would like to switch it in place. I wouldn’t want to lose my Microsoft Home and Student Office or Windows XP activations. Would this Acronis software be able to do this? I’ve used the software to do exactly what you are trying to do. You have the option to install a brand new drive, with completely transferring everything at one time, and I do mean everything. All your programs will be fully functional from the new drive. You will not have to do any type of software activations and Windows XP OS will also be the same as before you upgraded the hard drive size. Everything will be the same, except you will have the larger hard drive size with all your programs completely installed, including access to documents where they were stored before. The way the Acronis software works is, you need to first load it on your existing drive. Then you make a complete disk copy to the new drive that is larger in size. It keeps the file structure from the old hard drive intact, but gives you the use of the entire new drive size. Once you do the disk cloning, then you simply remove the old C drive disk, and make the new disk the C drive. 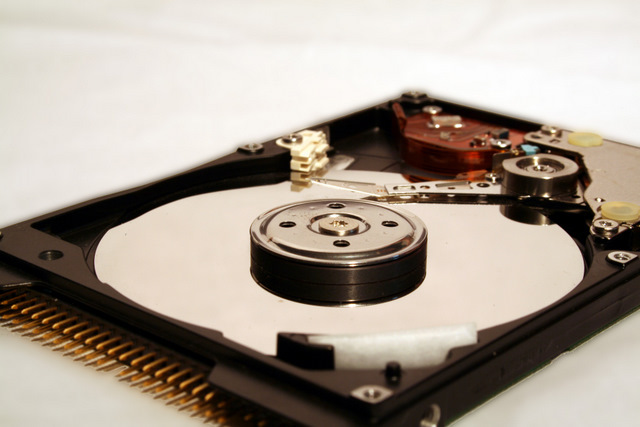 You can then keep the other hard drive as a spare or you can convert it to be used as an extra hard drive for storage as another drive inside your computer. I suggest you have a backup first before doing anything. Buy a cheap external drive and backup the whole image, after you load the Acronis software, so you can restore it if you get into a jam. Note: You can pick up a spare external USB and Firewire hard drive at Costco or Frys for around $100.00. It is well worth it to have one on hand. Then you can do backups anytime you like. Trust me on this; this is a great insurance to have.